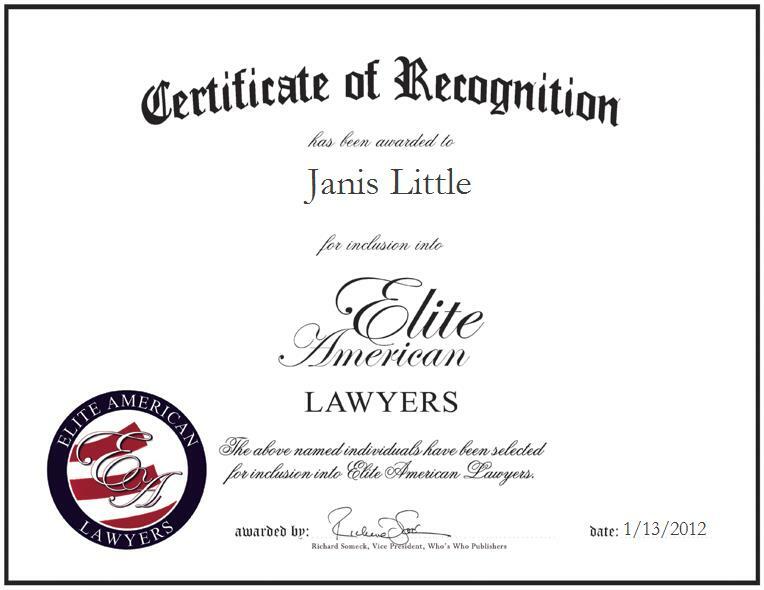 Janis Little is a Paralegal at the Office of the District Court Trustee in Johnson County, Kansas, a legal organization that specializes in child support enforcement. Her background in the area allows her to champion the mission of the organization and aid its initiatives to put regulations and stipulations into effect. In her capacity, Ms. Little is responsible for filing interstate paperwork, and attending court hearings as a bailiff. Ms. Little has honed a strong skill set over the course of a career that has spanned more than 21 years, and she continues to strive for excellence in her every endeavor; she remains abreast of trends and developments as a member of the Kansas Paralegal Association, the National Child Support Communication Forum, and Phi Theta Kappa.